Razvozzhayev, who formerly served as an adviser to leftist parliamentarian Ilya Ponomaryov, was sentenced in July last year to 4 1/2 years in prison. Russian activist and former parliamentary adviser Leonid Razvozzhayev, who is currently in a Moscow jail after being found guilty of inciting riots at a 2012 opposition rally, was denied permission to attend his mother's funeral on Sunday, his lawyer said. Razvozzhayev's mother died at the age of 81 on Wednesday, and that day he contacted Russia's human rights ombudswoman Ella Pamfilova to help him get permission to attend the funeral in Moscow, lawyer Dmitry Agranovsky told the BFM radio station. Pamfilova in turn contacted the Federal Prison Service, which apparently declined the request, Agranovsky was quoted as saying. 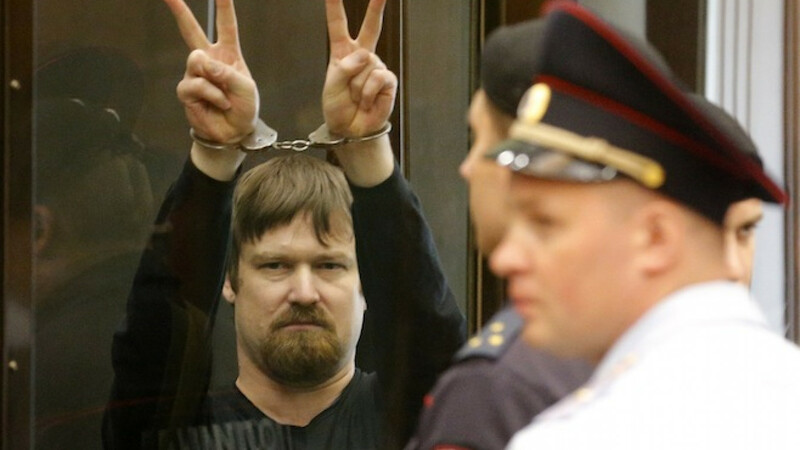 Razvozzhayev, who formerly served as an adviser to leftist parliamentarian Ilya Ponomaryov, was sentenced in July last year to 4 1/2 years in prison for "organizing riots" after a rally on the eve of Vladimir Putin's inauguration to his third presidential term in May 2012 descended into clashes between demonstrators and police. Earlier this month Agranovsky told the Interfax news agency that Razvozzhayev would soon be sent to a penal colony in the Siberian region of Irkutsk.